It’s been called the next Industrial Revolution and the “Third Wave” of the internet.Cisco predicts that it will be a $14.4 trillion dollar industry by 2020. Just like the first wave of the internet, the Internet of Things (IoT) movement will change and disrupt every facet of industry, commerce and our daily lives — providing countless opportunity for you to start a new business in the space. As a founder of a thriving IoT company, I closely follow the news, analysis and forecasts to keep up with this rapidly growing market. If you want to take advantage of the growing opportunities in IoT, you need to do the same. In this article, I’ve compiled a list of the journalists, experts and analysts that I personally follow on a regular basis. These are some of the best experts and influencers in the Internet of Things that you need to follow to stay ahead of the curve. Stacey is the creator of the Internet of Things Podcast, a leading podcast that discusses all angles of the IoT industry. Along with co-host, Kevin Tofel, Stacey provides a unique point of view and in-depth analysis on the latest news and trends in IoT. She also interviews the top leaders in IoT — adding to the show’s unique perspective. Stacey also provides an IoT newsletter that is packed with news and analysis. Michael is the creator and host of another leading Smart Home podcast called, “The Smart Home Show.” He combines in-depth market analysis with insightful commentary on the latest news and updates in the space. Michael has also become a leading authority on the Smart Kitchen. Julie has extensive experience in the Internet of Things and covers home automation, custom electronics and the professional installer market for CEPro. She is my go-to source for the latest and most in-depth analysis on the B2B side of IoT, home automation and smart home security. I follow Greg’s Twitter and LinkedIn accounts for daily news and analysis. Also, I subscribe to the IoTC’s newsletter, which is packed with news, analysis and commentary from the industry-insiders that make up the consortium. Megan and Ry are associate editors at CNET, where they perform extensive reviews on the latest smart home products. I follow them to learn about the best rated products in each category of the Smart Home. Carley is a digital lifestyle expert on The Today Show and a Smart Home expert on HGTV, where she makes Smart Home technology accessible and stylish for everyone. She tests the latest gadgets, lists the best products and teaches me how to get the most from technology without letting it take over my life. As a VP at Parks Research, Elizabeth generates some of the best analysis and forecasting in the industry. She regularly shares highly informative posts on her LinkedIn account, including news, analysis, forecasts and predictions. Dave helps tell Amazon’s story for their hit IoT product, Echo. I follow his Twitter feed to get frequent updates on Alexa’s developer program and to read the latest news in far-field voice technology. Scott is a thought leader, futurist, speaker and author on the Internet of Things. He dives deep into the data side of IoT and helps to paint a future of the connected world. Jenny heads up the IoT accelerator for Techstars and has made numerous investments in IoT. I follow her to get the latest information on investing in IoT, building Smart Home startups and Industrial IoT. Chris brings a fresh and honest perspective in his coverage of the Internet of Things for SlashGear. I follow Chris’s Twitter and SlashGear column to get in-depth reviews on the latest smart home products and honest analysis on the market itself. Blake is at the forefront of the Smart City revolution, acting as a visionary and catalyst for Kansas City’s Smart City aspirations. I follow Blake to learn how the Internet of Things will change the urban experience. 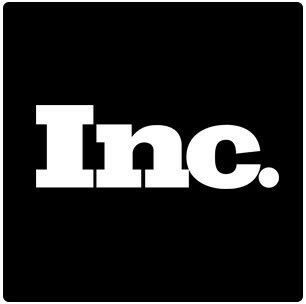 John frequently covers the Smart Home and Internet of Things in his Inc.com column. He highlights the endless opportunities in the space and makes relevant predictions for where the market is going. The most important thing to understand about IoT is that it is just getting started. If the Internet of Things is like social media, we’re at the point in which Friendster and MySpace were still relevant. IoT will not only disrupt virtually every facet of our lives, it will create new markets that provide you with new opportunities. Follow these experts and explore ways to capture value in the Internet of Things. The only limit is your imagination. Refer to the full article on Inc. Published on August 19, 2016. Author Andrew Thomas. Voted Top IoT Influencer by Inc.
Amyx+ , an award-winning Internet of Things strategy & innovation lab, is working with international and multi-national enterprises to help 1) understand the impact of IoT disruptions, 2) formulate and sharpen their IoT strategy, 3) quantify the business case, 4) experiment, learn, validate, 5) develop game changing technologies and 6) launch innovative IoT products and services worldwide. Our team of 50 PhDs, scientists, engineers and strategists are deep experts in the Internet of Things, artificial intelligence, machine learning, advanced data analytics, data visualization, blockchain, decentralized computing, standards and protocols, security, privacy, wearables, medtech and business transformation.